We’re pleased to share our 2018 Impact Report. 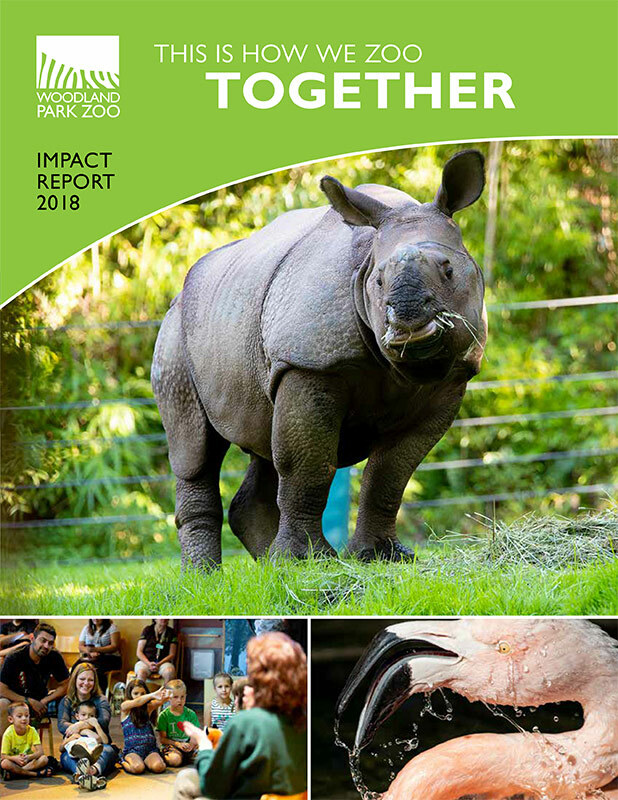 Click on the image or link below to explore the ways your support helps our zoo transform people of all ages into powerful forces for nature. Thank you! Woodland Park Zoo is evolving to meet current and future needs, shaping and epitomizing the purpose of conservation zoos in the 21st century. In a world of dwindling habitats and climate adaptation for all animals, including humans, we must engage millions of people in a transformational challenge: learning to share the planet’s finite resources sustainably with other species.